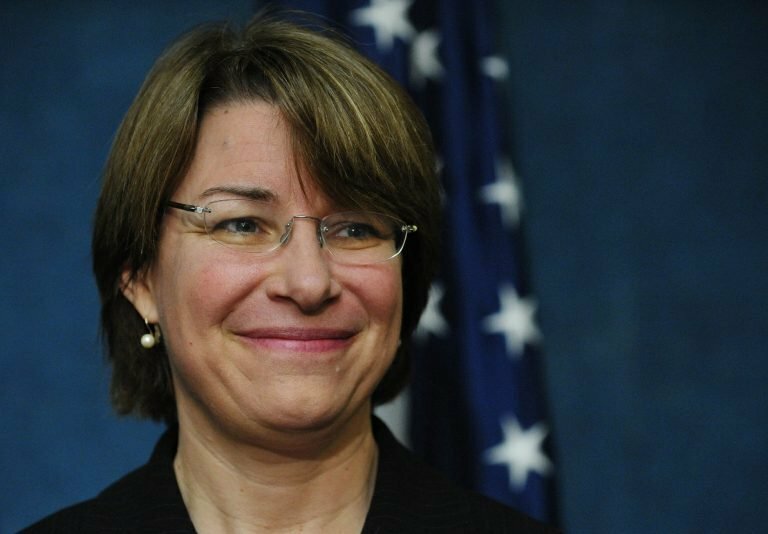 WASHINGTON – President Trump signs three of Minnesota Democratic Senator Amy Klobuchar’s bills to combat the opioid epidemic. The Synthetic Abuse and Labeling of Toxic Substances Act introduced with Republican Sen. Lindsey Graham of South Carolina makes it easier to prosecute selling analogue drugs similar to illegal ones. The Synthetics Trafficking and Overdose Prevention Act introduced with Republican Ohio Sen. Rob Portman helps to stop dangerous drugs like fentanyl and carfentanil from being shipped to drug traffickers in our country. The Eliminating Kickbacks in Recovery Act introduced with Republican Florida Sen. Marco Rubio cracks down on health care facilities or providers trying to take advantage of vulnerable patients. “Every day, families across Minnesota and the country lose loved ones to the opioid epidemic. These bills will help crack down on the sale of analogue drugs, stem the flow of synthetic drugs crossing our borders in the mail, and protect patients seeking treatment from being scammed. By signing this bipartisan legislation into law, fewer families will have to experience the devastating effects of addiction,” Klobuchar said.